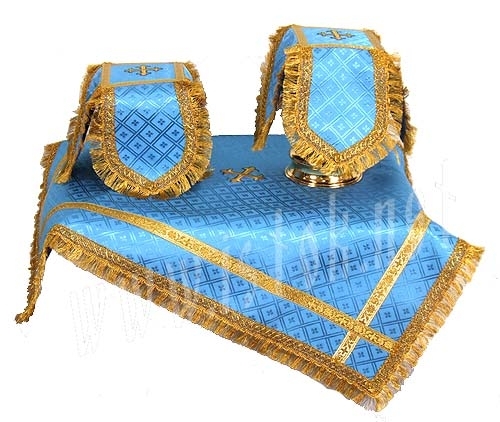 Chalice covers and veil. Silk (type S1), embroidery. By default, these veils are made for 0.25-0.5 L chalice. If you need this set made in different size, please let us know.